A jury in Gainesville, Florida today assessed punitive damages in the amount of $1.5 million against R.J. Reynolds Tobacco Co. (RJR) and another $1.5 million against Philip Morris (PM) in an Engle Progeny case. The same jury on Tuesday night awarded the family of John Huish $750,000 in compensatory damages, attributing 25% fault to RJR, 25% to Philip Morris and 50% to Mr. Huish. So, The compensatory damages award will be reduced by 50%. Of the 35 Engle Progeny trials that have reached a jury verdict since February 2009, 24 have been plaintiff verdicts (69%). Mr. Huish, who died of small-cell lung cancer in 1993 at the age of 64, had started smoking two decades before warning labels appeared on cigarette packs. He started smoking Lucky Strikes, followed by Camel, Chesterfield, Marlboro and then Marlboro Lights. Mr. Huish’s widow, Anna Louise Huish, brought the lawsuit and is represented by the West Palm Beach firm of Searcy, Denney, Scarola, Barnhart & Shipley. Attorney James Gustafson can be reached at 800-780-8607. The Tobacco Products Liability Project is a project of the Public Health Advocacy Institute (PHAI) at Northeastern University School of Law in Boston, MA. 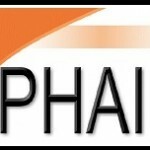 PHAI is an independent federally recognized non-profit charity.